Every Medicare beneficiary will have an IEP, or Initial Enrollment Period, during which they are eligible to enroll in Medicare. You can enroll in either Medicare Parts A and B or Medicare Advantage during this time. If you choose Parts A and B, you can also add on Part D (prescription drug coverage) and Medicare Supplements. 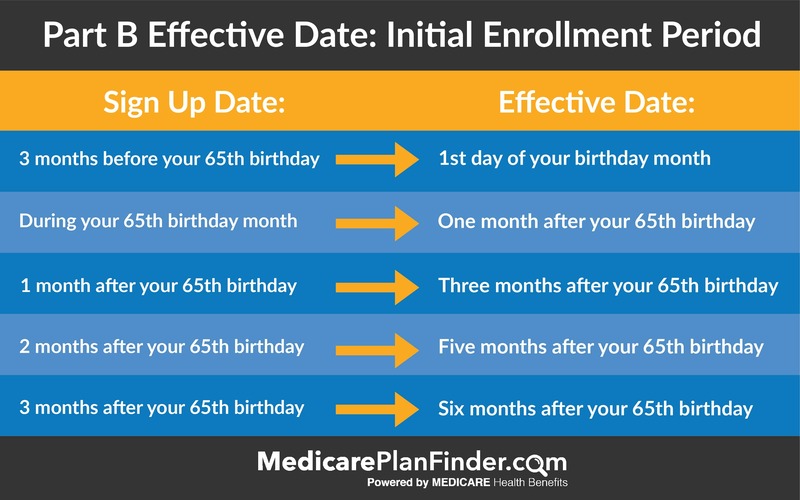 Your Medicare IEP will begin three months before you turn 65 and will end three months after, giving you a total of a seven-month enrollment period. For example, if your birthday is April 1, your Medicare IEP will last from January 1 through August 1. The Medicare Initial Enrollment Period is when most people are first able to apply for Medicare. If you miss your Initial Enrollment Period, you will need to enroll during the General Enrollment Period (Jan 1 through March 31). Annual Enrollment Period: For making changes to your coverage, like switching from one Medicare Advantage plan to another. Special Enrollment Period: For those with a chronic illness, a financial necessity, or a major life change. Open Enrollment Period: A new enrollment period only for those who already have Medicare Advantage and want to switch plans. In most cases, if you do not enroll during your Medicare Initial Enrollment Period, you will be charged a late enrollment penalty fee (added to your Part B premium). If you choose to delay coverage because you already have coverage under an employer, you can have your penalty fee waived. When Will my Medicare Coverage Begin? If you enroll within three months before your 65 birthday, your coverage will begin during your birthday month. If you wait until your birthday month or later, you may have to wait a few extra months for your coverage to become effective. If you miss your IEP and have to enroll during the General Enrollment Period in January, your coverage will most likely not begin until July. This, on top of the late enrollment fees, is why it is so important that you do not miss your Initial Enrollment Period! Some people will be automatically enrolled in Original Medicare (Part A and Part B) and will not have to worry about enrolling during their Medicare Initial Enrollment Period. You may be automatically enrolled if you are turning 65 and are already getting either Social Security benefits or Railroad Retirement benefits. If you are automatically enrolled, you will receive a Medicare card about three months before your 65 birthday. If you are not yet 65 but are receiving Social Security or Railroad Retirement Board disability benefits, you will be automatically enrolled in Medicare after about two years of receiving disability benefits. If you have ALS, you will be automatically enrolled in the same month that your disability benefits begin. If you have ESRD (end-stage renal disease), you can enroll any time even if you are not receiving disability benefits. To begin your enrollment process, visit www.ssa.gov, call 1-800-772-1213 (TTY 1-800-325-0778), or visit your local Social Security office. Railroad Retirement beneficiaries can call 1-877-772-5772 (TTY 1-312-751-4701). Have you read about what Original Medicare includes? Most people start by enrolling in Original Medicare through Social Security. However, a lot of people don't realize that there are other options. Original Medicare only includes Part A (hospital coverage) and Part B (medical coverage). To get prescription drug coverage and avoid the late enrollment penalty fee, you'll also need to enroll in either Part D or Medicare Advantage. Those plans are not offered by the government. There are hundreds and hundreds of Part D and Medicare Advantage plans out there. The easiest way to enroll is by speaking with a licensed agent who knows about all or most of those plans and can help you pick the right one. Are you ready to get the coverage you deserve? Either pick up the phone and call 833-438-3676, or leave a message here and we will be in touch.